Chalk Dust contained an In Memory of Elizabeth Reed tease from Trey and was unfinished. Gin included an I’m a Man (Spencer Davis Group) jam. Trey played the show wearing a Mia Hamm soccer jersey (United States, #9). This was likely in honor of the U.S. Women’s Soccer team beating China to win the World Cup earlier in the day. This show was officially released as Live Phish 08. At the time, I barely have a memory of this show beyond seeing the nitrous mafia work the parking lot, and some poor kid getting beat down by two other kids with skateboards. Sketchy scene to say the least. After listening to this show on CD countless late nights, I have come to find the Tweezer > Mountains the best part of an awesome show. The transition between these two is masterful and beautiful, and it brings to mind the ephemeral and the slow decline of all things alive into the death realm. I am reminded of the Tibetan Book of the Dead and the bardo thodol - the state between living and rebirth where one's karma becomes manifest. This is no rock star, tension and release climax, but rather a funky, slow, tuned in Tweezer that dissolves into mourning tones and finally, Mountains in the Mist. This is a terrific show, particularly the first set. I attended and sat in the pavillion of E-Center. If I am not mistaken, this is the first Phish show at this venue and there were many more to follow...some good, some disappointing. This may be their best show in Camden, and it's certainly a good listen all these years (12?!?!) later. Great energy in the first set and a really solid Gin that goes to unique places. For sure, the Chalkdust can be considered a top 5 all time from this show. Coming in around 15 minutes and cruising just right into Roggae, this jam breaks out of the usual mold and soars into space at around the 8 or 9 minute mark. Six minutes or so of pure bliss. Tweezer out of the gate sets a certain tone for the set and this was a funky one. Tweezer is one of those tunes that phans, including myself, take for granted. I have heard it many times live and admit to yearning for something else on occasion, but it is usually funky and loose to experience. I just got done listening to the Lemonwheel version and I remember how the majority of the 90's incarnations could inspire. This one is long, funky, and creative. I think we sometimes forget that even though this is a run of the mill song that the majority of fans are so familiar with, it still almost always delivers. Mist was cool to hear and it remains the only time I heard it live. Nice cool down from Tweezer. I recall BOAF and Circus being average and a little bit of a drag on the always sauced Camden crowd. Fluffhead was great and closed the show a bit early. Encore was ok.
To sum it up, this is one of the better shows from the summer of 99, when unbeknownst to us, the scene and other factors were starting to take a little toll on the band. Phish had exploded into an area of popularity that was unbelievable. 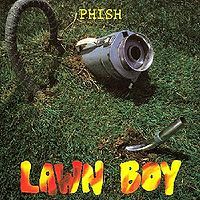 The lots were not yet completely bursting at the seams like they would the following summer, but Phish was finally on the mainstream radar and all of the consequences that came with that were starting to have an affect. I always look back on this show fondly and I think its obvious that the band does also...they released it officially. I'm quite surprised there isn't more love for this Fluffhead closer. It has a ton of energy packed into the jam and definitely one of the main memories of this night that is now almost 14 years ago. Don't overlook this version if you're a Fluff fan. 10 years after the "Companion" review, the assessment of the Tweezer seems a bit harsh. For my ears it's a nice example of a '99 jam that has a considerable groove that would probably have the masses salivating at a 2010 show. The consistent droning of a digital delay loop throughout the song may have seemed routine at the time, but in hindsight I like what it brings. The end of the jam may drag on but provides a very nice transition into the down-tempo "Mountains" which is well played and a nice break. First show for me & bro-in-law, I finally talked someone into going to see this band I've been enjoying since hearing contact on XPN (finally bought in when Rift came out)-Chalkdust told is to buckle-up & enjoy the ride>didn't know if spaced-out whirling sounds of Tweezer were coming from stage or in our heads>Smiling & dancing like a fool during Sparkle>Noted that the crowd really enjoyed that Fluffy song>I picked-off Liz reed tease, he got I'm a man, he got circus(Los lobos fan), I got guitar gently weeps> both of us thrilled that they actually played some songs we knew (beyond our limited catalog of phish studio; Rift thru Ghost). If time machine exists, use your token for this show! SET 1- Wilson: Always a great opener in my opinion, very standard and set the pace for what was to come. CDT: Best version thus far. What a wicked jam which stemmed out of a traditional version and continued to build wicked energy and fierce firepower throughout the 14 minutes. Love the Whale tone Trey used, which is currently present in the 2013 shows. Roggae: One of my favorite songs which does not get enough play, a mellow version which I always find unique with the circa 1998-99 shows. Water in the Sky: Another one off Ghost which is smooth and unique. Sparkle: Nicely done, doesn't get enough play in the late stages of 1999. Gin: We knew something was going to have to follow up after that blasting CDT in set 1, always welcoming late in sets. Golgi: Standard, good set closer. A Great musical set, I like when Phish doesn't play the standard setlist stuff from albums, it is why we go and see them. SET 2: Tweezer: Very rhythmic and very Type II throughout. Mountains: Love this song, love trey's voice, the crisp slowness and emotion poured into this one. BOAF: More Ghost which is always a fun time, in 1999 prior to the Farmhouse pancakes which were stacked high later in the year. Circus: Good cover, like it don't love it. Fluff: Great version, love the arrangement of this song and it only gets better the more they critique the segments of this one. ENCORE: Beatles: Yes!, TWZ Reprise- What a great show. I remember leaving this show relatively annoyed because I thought the second set was unquestionably short, and poorly paced. I wasn't too into the concept of "Fluffhead" as a set closer (although I might feel differently now as it hasn't been played since 2000), and two Trey ballads in a sixty minute set? It's not like Deadheads complained when Jerry broke out "Stella Blue" or "Black Peter", but nobody really wants to hear them played within fifteen minutes of each other (added to the fact that "When the Circus Comes" hardly represents the pinnacle of slow Phish tunes). The poor pacing of Set II can almost make one forget that the "BOAF" therein is an extremely cool, experimental version featuring an uncharacteristic jam in F major akin to a post-tramps "Mike's Song" segment. The less said about the opening "Tweezer", which was both sloppy and molasses slow, the better. But the show is still considered to be a Gordon favorite, included in the first batch of Live Phish releases, and Set I goes a long ways towards explaining this. The "Chalk Dust" is one for the ages, featuring an atypical, and extremely upbeat melodic jam that clocks in around twenty five minutes, and holds its own against other experimental versions like 6/20/95 and the infamous "Wipeout" laden version of 11/27/98 (also a Live Phish pick, and incredible fun). I seem to recall this winding down into a relatively standard version (but aren't they all?) version of "Roggae" made rather appropriate by a sunset over the Philadelphia skyline off to the left. And while I used "Water in the Sky" to take a very necessary bathroom run (and I was not alone in this endeavor), the tapes bear out that this was actually an excellent version of a song that is otherwise usually apropos for such a break. Next to the "Chalk Dust" however, the highlight of the set was easily the "Bathtub Gin", not unlike the famous Went "Gin" with plenty of fluid soloing in C major. This one stands on its own, however, with a unique ending jam; the final five minutes featured a considerably funky instrumental take on the Spencer Davis Group's "I'm a Man" before a "Golgi" set closer (for more unbelievable Jersey "Gin", check out 6/28/00 I. Yikes.). In sum, 7/10/99 seemed relatively characteristic of the handful of shows I witnessed in July of 1999 in that the first set was unquestionably more enjoyable than the second. Should you desire further examples of this phenomenon, check out 7/13/99 II, in which a long "Wolfman's Brother" will cause all but the most caffeinated Phishhead to nod off, and the intriguing 7/15/99 II, which may serve as the best anti-drug public service announcement the band has whipped up since 7/12/96. And while my longtime friend and permanent Phish buddy Ben Williams was able to depart beautiful Camden with the hubcaps on his old-school Volvo intact, many were not as lucky. 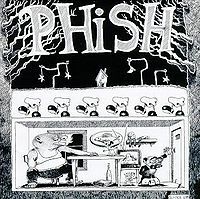 1999 is an underrated year in Phishtory, in my opinion, though most phans knowledgeable and interested enough to be part of .Net know many of its merits. This is just a great show, from top to bottom. Wilson gets extended a little bit, as was Phish's wont in '99, but the Chalkdust that follows is rightfully (and righteously) legendary. It soars effortlessly, the jam striking me just now--I'm a little verklempt--as a sort of updated soundtrack to the journey of the Famous Mockingbird, if you can dig that. Roggae is a great cooldown. Gin also reaches huge heights, as do Tweezer, BOAF, and Fluffhead. This show seems homologous with 2/28/03, to me, in that there are about 4 or 5 great big jams, though instead of the Destiny bustout, here we get the rare Back at the Chicken Shack. You've heard this show, or if only about it, no time like the present! There are so many great shows from the past 30 years. Shows with incredible jams, incredible energy, hi-jinx, theatricality, and that spirit of oneness that pulls the entire audience together for that one night. Some of the best shows are a combination of many of those attributes. We as a community are lucky to have an opportunity to see Phish in 2013, and are lucky enough to have that chance to see a truly great show... on any given night. You pick and choose the shows you are going to attend with the hopes that on that steamy night in Maryland in July, or that crisp evening in Denver on September 1st, your mind will be blown. You will be hugging strangers. You will be screaming until your lungs bleed. You will be one. 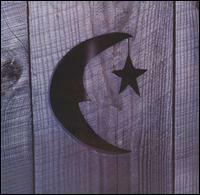 This particular show from Camden, NJ in 1999 is one of those shows. It may not have the huge ambient jams that propel the ambient jam grade to a 10/10, but it has everything a show needs to be a "great" show for the ages. 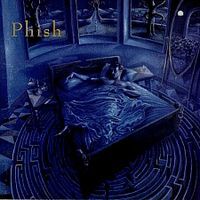 Phish knows this show was THAT good, because they released it in the original run of "LivePhish" remasters. Wilson opener gets down and dirty real fast featuring a very heavy metal drone with distortion from Trey in the jam that leads to a solo with his reverse reverb effect sucking the solo notes back into the vortex. The distortion and feedback swells, Trey piles notes upon notes with the reverse effect creating a dizzying effect within the jam. Quick and powerful. Trey decides that having one first set opener is not enough. He opts to steer the band toward another first set opener in Chalkdust Torture. These are often the two summer rock openers that band uses to get a show started with high energy, and to stack them one on top of another is a sign of things to come for this show. The Chalkdust cools off a bit during the sing-song part of the tune, but Fishman keeps it up-tempo and drives the speed with his unrelenting snare hits. Trey finally gets to the solo and unleashes in his fiery late 90's Chalkdust style ...but only for a couple minutes. Then he just stops. Hangs on a two or three note combo and starts to stray towards a melodic jam unusual for a Chalkdust. He brings back some of his usual guitar runs for a few measures to see if the band wants to go back to rage mode, but quickly realizes that the Type II approach was much more fun. The journey finds soaring solo notes and whale calls (not fully used until years later). Trey uses the Whale Calls to surf the ambient backdrop painted by Gordon and Page like Bob Ross on Valium. Fishman keeps hammering the beat. Keeping the ship straight. Trey appears to be searching. Looking for something in the jam. Never satisfied. Then he finds the robot and turns him on. The robot responds with laser eyes and a chugging deep and symmetrical bass groove found in between the lines of an Isaac Asimov novel. Almost like a robot march to salvation. Page sets the alien landscape. Full invasion. The only escape can be found in the solace of Roggae which appears like a mirage in the alien desert. The Roggae takes over and steers the band into a slower, lower groove that floats perfectly as the third song in a hot set in need of a funky cool-off. Trey's use of the Leslie with distortion, as is typical with this song, sounds so perfect after the crazy Type II Chalkdust. Almost like a glimpse in the rear-view mirror at the robot behind, as the band journey's toward the delicate melodies ahead in the form of Page's fluid piano fills. The Roggae jam features more melodic playing by Trey over a droning ambient groove from Mike. Building the soft, floating jam into the harsh return of the heavy distortion power chords is such a perfect use of dynamics both in the song and in the set. While this Roggae doesn't stray too far from the conventional versions, it is the beauty of the playing and the placement in the set that really make it stand out. Set filler follows until we arrive at Bathtub Gin. This seems to be a very ordinary Bathtub Gin with your "meat and potatoes" Gin jam until the 11min 30sec mark. At that point Trey decides to go in a completely different direction, Page follows, and eventually so do Fishman and Gordon into a full on Spencer Davis Group "I'm a Man" jam. It is absolutely perfect. Funky. Upbeat. Driving. Like James Brown on his worst day. Standard Golgi Apparatus closer seems to say, "Keep your ticket; you are lucky you picked this show." Tweezer. One of the best feelings in the world for phans is a second set Tweezer opener. The band knows it, the audience knows it, something is coming... something huge. The song builds and opens up to the jam. Ambient loops. Clav with wah. Funked out Gordon bass grooves. Fishman on a slow burning funk beat. Trey starts the build with ascending high fret funk chords. 7th and 9ths in a slower, funked out Tweeprise climb. 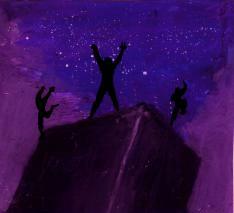 Then Page drops the alien synth clavs on top and you have liftoff. Then around the 14 minute mark the rug gets pulled out from under the band. Trey is back to minimal riffs and picking. Page waits and comes over the top with over-arching chords similar to the No Quarter intro but in a different key and chord structure. Fishman provides an ambient soundscape with cymbal crashes and tom hits. Gordon searches for a way to bring a groove to the jam as the ambient space bleeds through everything. It's wavy. The music is blurry. The sounds unclear. The jam drifts away into the ether. Feedback echoes and slowly dissipates into Mountains in the Mist. 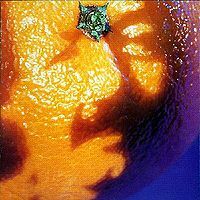 Solid takes on Birds of a Feather (with a notable break down jam at the end) and When the Circus Comes takes us to a tremendous Fluffhead with an excellent and always appreciated Fluff jam along with its epic peak ending. Not much in the way of ambient jams on the back half of this set, but great energetic playing none-the-less. An appropriate While My Guitar Gently Weeps>Tweezer Reprise to cap the encore and send the good vibes into the dark New Jersey night. There's something much deeper going on in this show than just CDT. I've been listening and re-listening to this official release for months and can't tear myself away from what I think I'm hearing. I'll give this review some context. I'm 2002, I saw Rufus Wainwright perform at the State Theater in Ann Arbor, MI. An intimate show, but occurring before any rehab stints or breakdowns. Wainwright was drunk throughout the night, forgot many lyrics, and to a crowd that was largely unaware of the circumstances this merely seemed like entertainment. A belligerent crowd member yelled "Barcelona" after every song, and even Wainwright knew not to cave to this song request, sober or not. I left that concert feeling slightly uneasy, as if I was witnessing more than just music. This feeling is revisited for the entirety of this show. While the crowd latches on immediately to Wilson, it seems like the band isn't meeting the crowds energy, purposefully. CDT devolves into glorious but introspective space. To my ears everything here is played brilliantly but with angst. The Sparkle and Golgi feel out of place, but intentionally so. Like, you want these happy/catchy songs here right? The second set Tweezer opener is hard for me to get through, not in that it's unlistenable but it feels dark and lonely. Not quite So Many Roads 1995 dark and lonely, but approaching that. 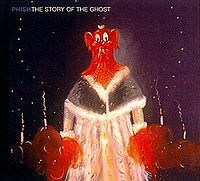 Followed by the lyically angsty Mountains, BOAF, and Circus, all nicely played and enjoyable comes to one of the more uncomfortable silences I've heard on a Phish recording. On the official release you can vaguely hear some banter, and to my ears it sounds like Trey says, "do you want to play Fluff or what?" Not the most joyous statement. What follows is a Fluffhead that's enjoyable, but I keep thinking what's going on here? By While My Guitar Gently Weeps I'm feeling uncomfortable on behalf of the band. As in, we are upset and wearing it on our sleeve up here but you guys are probably just happy that this song doesn't get played much...and here have the expected Reprise to go home with. And lights. Plenty has been written about the scene and how tiresome it was. But the more I listen to this show, the more I love it, it's just my style, yet...but I'll be damned if this doesn't sound like a band that's tired of playing and looking for a way out. I'm glad they got things sorted out. I've listened to this show countless times (and not just for the CDT) so time for a quick review. Wilson is a good opener for my money. Always has nice energy. I like this version (and other '99 versions) as Trey makes great use of the reverse effect on his leads. It always sounds cool. Nothing overly notable beyond that. Chalkdust Torture is up second and in a surprise move gets an absolutely epic jam tacked onto it. They sort of toy with the CDT theme for a bit then deviate completely into this soaring upbeat jam with Trey hitting the perfect peaks with that '99 soaring effect. (using the Digitech Whammy II for those notes?). The jam then goes rythmic with a cool ending section that has a very nifty little -> Roggae. It's well know that the CDT is one of Trey's personal favorite jams - and who can blame him! Roggae is also a nice version and has a unique feel. Give me a 3.0 Roggae any-day, but this is a good version. Water in the Sky gets unique treatment as well with some nice unique guitar playing. Back at the Chicken Shack is fun here. Sparkle keeps the smiles coming. Bathtub Gin is really strong. It's not the absolute longest version, but it's got two great jams in the type I segment then a really cool ending jam segment that deviates significantly from song structure. Very good version. Golgi closes out a truly great first set in nice fashion. Overall, I wish they played first sets like this today (complaining I know...). This is just a very good set. The CDT is a best of all time version and the Gin is certainly no slouch. Mix in some cool songs and well played versions of Roggae & Water in the Sky and you've got a winner folks. The second set gets some hate and I can understand why the Tweezer might not be everyone's favorite. That said I think it's awesome! So they open up with a very slow Tweezer. It's plodding and ethereal with plenty of space and looping. To me it paints an amazing soundscape to just crawl into and enjoy. It's a very slow groove, but very beautiful to my ears. It's about 20 minutes long so maybe the lack of urgency docks some points, but if you like '99 space, you'll love this. ->Mountains in the Mist is absolutely perfect. It's a beautiful segue into what I consider a beautiful song. Great pairing. BOAF is up next and like many '99 versions it soars to a great extended jam. In fact this version reprises the CDT from set I and is really an inspired bit of improv. It then goes to a funkier realm out of the soaring peak and lands in Circus. Circus is a second breather, maybe a bit odd from a pacing standpoint to go slow again. That said, I am fond of the cover. Fluffhead closes the show out in an atypical second set closing role. It works well here (as it did night 2 of BGCA 2016). This version isn't perfect and has some sloppier and slower moments. That said there's a nice jam that's a bit more extended than usual and is ultimately very satisfying. The encore is straight-up, but good. While My Guitar Gently Weeps and Tweeprize are good closers. Overall it's a great show. The second set is not likely to be everyone's cup of tea, but I think it's dynamite. Definitely come for the CDT, Gin, Tweezer (but mentally prepare yourself for a slow version), and BOAF. Wow, my first show. Since this show was 13 years ago, I don't have a photographic recollection of each song. However, I do remember it being a LOT of fun. The Wilson opener had great energy and, for me, was amazing as a first show opener after I had listened to the "A Live One" Wilson about a thousand times. I also remember being very pumped up during Chalk Dust, which kept the fast pace going from Wilson. Roggae, Water in the Sky, and Chicken Shack are kinda hazy for me... But Bathtub and Golgi closing the first set were so much fun and wrapped up a really fantastic "first time" for me. The whole lawn was partying together during those last two! I agree that the second set didn't live up to the first, but I did enjoy the Tweezer bookends and actually thought the Fluffhead closer was really well done. Listening to this on Live Phish, I sometimes can't believe that this was my first show. I'm glad I got to get in some 1.0 while I could.